A £2 million fund is helping ambitious young people to kick-start their careers in agriculture. Caroline Stocks reports on how you could benefit from it. Got an idea for a farming business but not sure how to get it off the ground? Always dreamed of studying agriculture overseas but do not think you can afford it? If the answer is yes, then the Henry Plumb Foundation could be the key to helping you achieve your goals. Set up by Lord Henry Plumb, an entrepreneurial farmer who went on to become NFU president and a member of the House of Lords, the foundation aims to give £2 million to young people to help them launch their careers in food and farming. Since it began in 2012, it has given almost £90,000 to people aged between 18 and 35 for projects ranging from setting up a pig enterprise (see case study) to running a social media project. As well as offering financial assistance, the foundation – which is funded by businesses including HSBC, Yara and NFU Mutual – also runs a mentor scheme to offer guidance and advice to applicants to help ensure their projects are a success. Applicants do not need to have a background in agriculture or any experience of working in the sector, but they should be able to demonstrate a strong interest, business idea or study plan which could eventually lead to a career in food or farming. These could include business start-ups, internships, overseas exchanges or funding to attend courses and events. Could the Henry Plumb Foundation help you? Q. Do I have to come from a farming background? A. No. But you do need an idea, a strong interest and the drive to become part of the food or farming sector. Q. Do I need to have an idea for a business? A. Not necessarily. You could be interested in studying a particular subject or undertaking a piece of research. All the foundation asks is that it is related to food or farming in some way. Q. Could the foundation help me study overseas? A. Yes. The foundation recognises farming is a global industry and is keen to hear from young people who are interested in working or studying abroad. A. You fill in an application form where you set out your idea for studying or starting a business. Your application will be reviewed and if you are shortlisted you will be invited for an interview. If the foundation think it is a winner, you will be awarded a grant and a mentor to help guide you on your way. 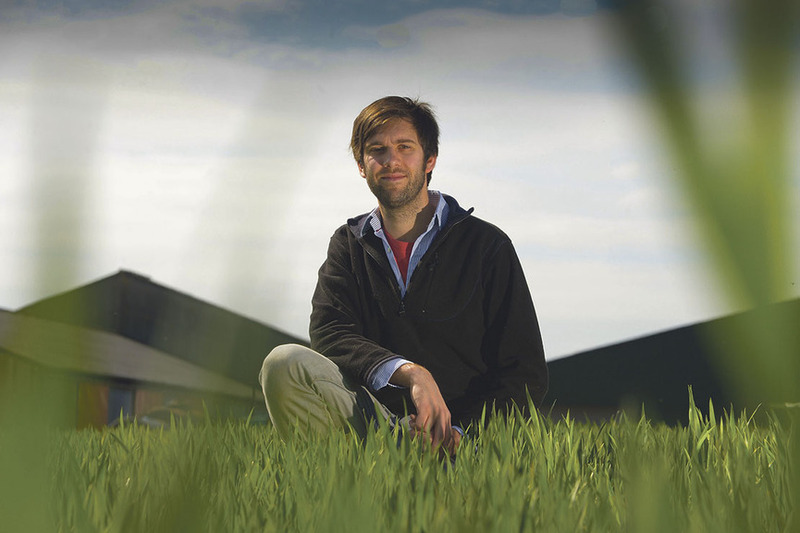 Stephen Jones, 29, founded The British Quinoa Company and runs the business along with his father Edward. The family are the leading supplier of UK-grown quinoa. He was awarded a grant in 2014. 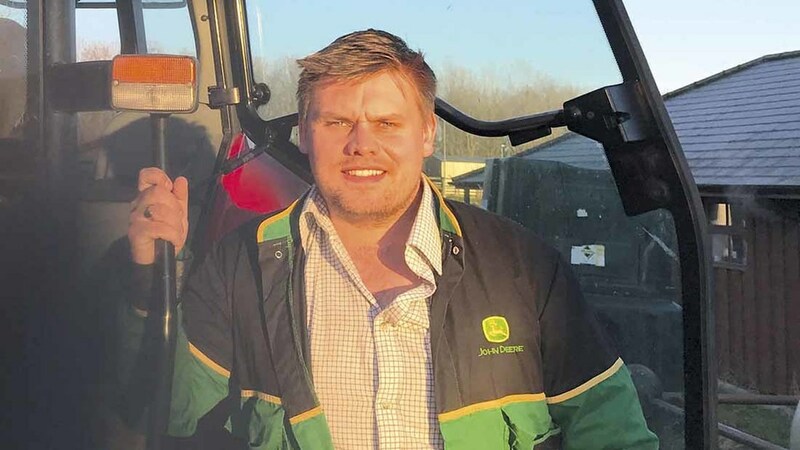 Sixth generation farmer Stephen Jones is passionate about developing alternative British-grown crops and applied for a grant after researching financial support available to young farmers. Having graduated from Harper Adams with a BSc and MSc in agriculture, he completed a PhD in crop pathology from the University of Nottingham. He won £3,000 and was offered a mentor to help him trial two varieties of Oca (Oxalis tuberosa) tubers on his family farm in Shropshire. More commonly grown in New Zealand, Oca tubers come in a wide range of colours and tend to have a lemon taste and unlike potatoes, they are completely blight-resistant. “The benefits of growing Oca are that, unlike the potato, it is completely blight-resistant and avoids the need for repeated fungicide applications,” he explains. Having sourced the two varieites from gardeners, Stephen planted the crop in modified harvesters and after six months harvested and evaluated the work. Stephen was offered a mentor through Michael Bubb, a Shropshire potato grower and founder of Shropshire Petals. “It was a slow process but successful and we continue to undertake small-scale trials and development work. “We would like to take it to the market but it will not be immediate as we are concentrating on other crops." That main crop is quinoa which Stephen began growing in 2006. Such was its popularity, he launched The British Quinoa Company, supplying into farm shops, delis and wholefood stores along with being included in healthy eating ranges within supermarkets and coffee chains. Alongside his own 300 hectares (741 acres), he works with other UK growers who supply into the business after completing an exclusive breeding programme each year. Matthew Sharp, 24, manages a largely diversified farm on behalf of a trust, contract farms livestock for a private investment company, and runs his own pig and suckler unit in Morpeth, Northumberland. He was awarded a grant from the Henry Plumb Foundation in 2015. Having started to build up his own suckler herd while he was studying agriculture and farm business management at Newcastle University, first generation farmer Matthew Sharp realised he needed to try something different to develop his fledging enterprise. He applied for funding from the Henry Plumb Foundation to start a small indoor pig herd on 20 hectares (50 acres) of rented land, and in 2015 was awarded £2,000 which he used to buy five breeding sows. Matthew has adapted an existing cow shed to house the pigs and wintering the cattle elsewhere. Thanks to the regular income the pigs bring in, he has now bought 10ha (25 acres), enabling him to manage the herd’s expansion. While the market is volatile, Matthew says he has managed his costs by agreeing fixed prices with his customers, and buying-in feed which he blends himself. Without the scholarship, Matthew says it is unlikely he would have invested in the sows or been able to grow his businesses so quickly. “It really gave me a leg-up to get started – I probably wouldn’t have found the money for the sows and the feed and would have just carried on buying cattle to slowly grow the herd instead. The foundation is always looking for people to join its team of mentors to help its candidates develop their ideas, build contacts and progress their careers. If you have the time to share your experience and advice to people just starting out in the industry, then becoming a mentor is a great way of giving back to the industry. Philip Wynn, the foundation’s chairman of mentors, says: “Becoming a mentor is a uniquely rewarding experience – an opportunity to support the development of our future industry leaders by giving encouragement when it is needed, practical suggestions and advice.